Why Choose ServerHealers Outsourced Hosting Support? What makes us Different from other support companies? ServerHealers is 24×7 professional outsourced web hosting support team and one of the best server management company with unmatched quality that enables you to deliver high-quality online customer services and server management. We are partners of the following industries leading names! LiveChat is a multi-million dollar online customer support software with live chat support, help desk software, and web analytics features. We are official LiveChat Partner and certified LiveChat Expert. 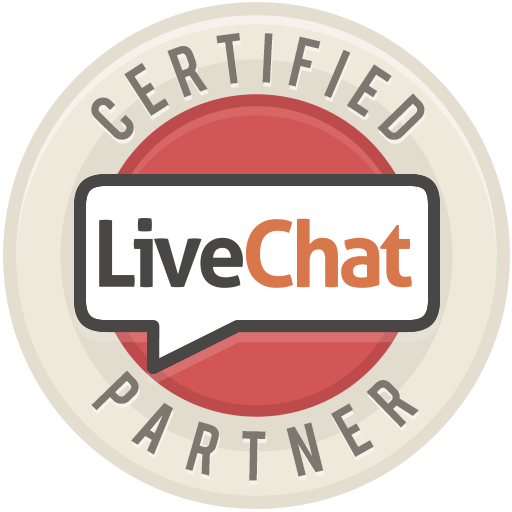 We are official LiveChat Partner and LiveChat Certified Expert! That shows how good our chat support and customer support skills are! Red Hat, Inc. is the first one-billion dollar open source company providing server solutions and software products to the enterprise community. We are official RedHat Business Partner and RedHat Solution Provider. We are official RedHat Business Partner and RedHat Solution Provider! That shows how good our server support and technical support skills are! If you are still not sure, please try our support absolutely FREE for 5 days! Try and see why we are the best server management company! Our well qualified Virtualization Technical Support Team can handle Xen, KVM or any latest Virtualization Technologies with ease. OpenVZ or Virtuzzo, We have Specialists in Virtualization. So enjoy the day and let us handle your servers. Our well trained Webmin admins can handle any complex Webmin related technical assistance for you and your customers. Handling hundreds of cases everyday. We have the best and most reliable DirectAdmin Technical Support Team in this industry. We are masters in VMware. So all your Vmware related concerns will be resolved with high professionalism. We provide technical support for all flavors of Linux. Your Linux servers are safe with our experienced Linux Admins. We provide technical support for all Windows Server Versions and Windows related server technologies. Our Experienced Plesk admins will provide the best Plesk Technical Support and Plesk Server Management.